The Fairbanks Alpine Ski Club (formerly Moose Mountain Alpine Sports Club) is a youth and young adult alpine ski racing program based at Ski Land but also trains at Moose Mountain and Birch Hill ski areas. The objective of the program is to teach the elements of alpine ski racing and provide opportunities for the skier to participate in organized racing events and camps. The philosophy of the program is by developing the skills and technique necessary for ski racing, the result will be highly confident skier in any conditions, with strong technical abilities, that loves to ski for a lifetime. Consequently, our in depth methodological approach focuses on a long term and sustained skill development of state of the art alpine skiing techniques of our members. The Fairbanks Alpine Ski Club (FASC), formerly known as the Moose Mountain Alpine Sports Club (MMASC), is a Fairbanks-wide promoter and developer of youth alpine skiing and all other related snow sports. Our name change was only one piece of the puzzle and valiant efforts to sustain downhill skiing and snow sports in Fairbanks. Fairbanks is home to one of the northern-most locations of organized ski racing in the world. FASC was established in 1993 (as MMASC) with the mission of offering alpine ski racing and coaching to children and young adults in interior Alaska, at Moose Mountain Ski Area. Ski racing, a thriving sport in Fairbanks since the sixties, at one time had as many as 100 kids total, enrolled in two ski programs (MMASC+FAST). Ski racing certainly has had its challenges to overcome during years of low snow, extremely cold winters, and fluctuations in program participation. Nevertheless, FASC has prevailed over these challenges and has continued to deliver its core mission. Now as FASC, the program keeps adding to the long tradition of the ski team and the fascinating sport of alpine ski racing in Fairbanks. Everyone that has been a member of the ski team can tell the tale of the inspiring atmosphere and camaraderie of a family of lifelong friends year by year. Reini has helped coach since 2005 (former head coach/program director). He was a member of University of Alaska Anchorage (UAA) Ski Team 2002-2005 and NCAA Academic All-American racer. He was a member of Austrian National University Ski Team 1999-2002 and member of Upper Austrian Junior National Ski Team and Ski/Sports Academies of Windischgarsten and HIB Saalfelden 1991-1999. He coached and instructed for various ski schools and clubs in Austria as well as the Upper Austrian State Junior Ski Team, and BSFZ (Federal Sports/Ski School) Obertraun. Further, Reini is an International Ski Instructors Association (ISIA) certified ski instructor and was an instructor/demonstrator at Interski 2011 in St. Anton, Austria. His home club in Austria is TSU Pischelsdorf. Reini also has experience working for ski manufacturers such as Fischer- and Kaestle-Skis, he operates a year-round guide service and has worked in economic development in Interior Alaska since 2007. In his past time Reini loves to ski with his daughter, snowmobile, raft, fish, and hunt. His brother Andi also skied for UAA, and has helped coach for FASC at the summer camp. I began skiing and climbing in the mid-70’s. Since 1980, I’ve lived in Alaska, working as a geologist. I’m a former president of the Fairbanks Alpine Ski Club, Alaskan Alpine Club, and the Alaska Alpine Rescue Group. I’ve assisted with glacial research projects in Alaska, Canada, and Greenland. 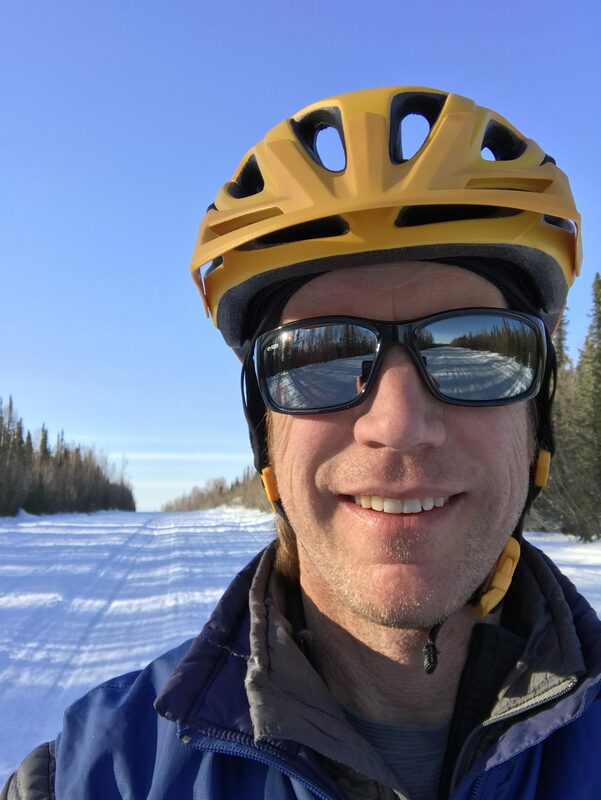 Currently, I’m the Senior Associate Geologist with Shannon & Wilson, Inc. in Fairbanks, conducting environmental and geotechnical projects throughout Alaska. I’ve taught basic climbing skills, glacier travel, and rescue techniques. I am on the Board of the Eastern Alaska Range Avalanche Center and provide avalanche awareness training to the community. 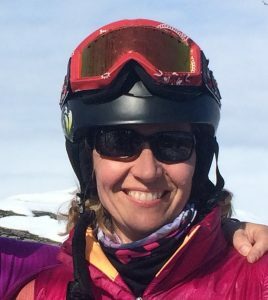 Dawn has been involved with FASC since 2007, officially becoming a Mighty Mites coach and alpine official in 2013. Growing up in Idaho in the shadow of the Tetons, Dawn spent a lot of time outdoors. Her passion was skiing and Grand Targhee—the alpine ski resort just over the border in Wyoming—was her “home hill.” Dawn was in a recreational ski club in high school and in college. She was on the Fairbanks Ski Patrol at Ski Land until her first daughter was born. Dawn loves nature and being outside. In her past time–besides skiing–she loves to riding her horse, snowshoeing/hiking, fishing, camping, and traveling to new places. Jim grew up skiing the mountains of New England. He spent several years racing for Catamount Ski Area in western Massachusetts. 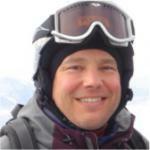 Several years later Jim worked as a professional ski patroller at Eaglecrest Ski Area in Juneau, Alaska. After Juneau, Jim spent several years skiing with his family in western Colorado. From there Jim moved to Cordova, Alaska and became a board member of the Mt. Eyak Ski Area. Today, Jim is an assistant coach and active member of the board of directors for FASC.